Welcome to the Ronald McDonald House Charity Hop sponsored by Great Impressions Stamps! Great Impressions Stamps Blog or check where you are on the list below. so be sure to leave everyone a little comment love! 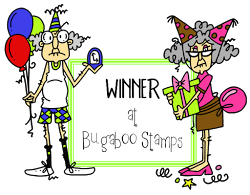 Winners will be announced on the Great Impressions Stamps blog on Tuesday, October 2nd. I've used white cardstock for my base, followed with a layer of Kraft, then two layers of a muse dots and checks. All coloring is with Copics, and the border punch is Martha Stewart. Here is the list of today's hop participants. Be sure to stop by and leave a comment - you might just win something special! Your next stop will be Mary's blog! I'm sure she has something wonderful to share with you! Thanks for hopping by today to support The Ronald McDonald House. If you get lost along the way, each blog will have the entire hop list. You have until 11:59 Eastern Time on Sunday, September 30th to leave your comments. All hop winners will be posted on the Great Impressions Blog on Monday, October 1st. Hop on Board The Party Train! Welcome to our Creations by AR Party Train Hop! Adela has been working hard on the new release for September, and I'm excited to share it with you! We hope you find some inspiration! amuse Cardstock, Kraft Cardstock, Tombow Markers, Computer generated signage & clip art. Visit the AR Girls listed below, for your chance to win! The Prize? One random winner will be chosen per blog! Winner gets the new Party Train template, or a new Party Train card that you can see on Adela's blog. Just leave a comment to qualify. Winners will be announced on each blog on Monday, October 1st. Welcome to a new Designer's Choice Challenge at Repeat Impressions! I'm the lucky hostess this week, and my choice was to incorporate some paper piecing on our projects. I totally love using fall colors, so the leave was stamped three times on the outside cover with Memento Rich Cocoa Ink. I stamped the leaf once more on patterned paper from last year's DCWV Autumn paper pack, cut it out, and adhered it over the center leaf. The leaves on the card itself, and the envelope, were stamped using the Autumn Kaleidacolor ink pad. I can't wait to see YOUR paper piecing! As soon as you've created your beautiful project, head over to the Repeat Impressions blog, The House That Stamps Built, and link it up there! You might be the lucky winner of some new Repeat Impressions stamps! Now, be sure to check out the lovely creations that my fellow Rockstars have to share with you! Thanks to everyone who dropped by our Halloween hop! We all had a great time sharing our projects, and hope that you found some inspiration! It's time now, to announce the winner from my hop! My lucky winner is Aixa M.!!! Congratulations, Aixa! Aixa, please drop me an email, so I can get your gift card to you! Thanks for playing along in our September blog hop! This Blog Hop with Sean & Regina features cards and sentiments celebrating HALLOWEEN this month! Halloween was always such a fun holiday growing up! I remember the excitement building and then the fun school Halloween parties to the furious finale….trick or treating! Join us on our haunting hop! Each host/hostess will have a card creation posted that is his/her representation of what HALLOWEEN means to them. Scrapbook Stamp Society is our blog hop sponsor! The overall winner will receive digi’s from our sponsor. Please visit them! Some of our blog hop host/hostess designers will also be offering blog candy as prizes on their blog sites, so be sure to visit each blog (and leave a comment) to be eligible for bonus blog hop prizes! Here are my cards! All were made at a fun workshop that my friend, Shirley and I attended together. Now it is your turn to blog hop with all of our friends! Leave a comment on Sean's blog, and become a follower there, to enter a chance to win the grand prize from Scrapbook Stamp Society! Hop through the list, visiting each participant. Leave a comment on each blog to be eligible for bonus blog candy from select blog hosts. The blog hop host/hostess offering bonus blog candy will indicate that he/she has a bonus blog candy prize so read each blog post carefully. Each blog will have the name and blog address for the next host/hostess in line for the blog hop. At the end of the hop, a random winner will be chosen for the Blog Hop Grand Prize from our sponsor and select blog hop hosts for Bonus Blog Candy. The deadline for leaving comments is Monday, September 24, 2012 at 8pm CST. 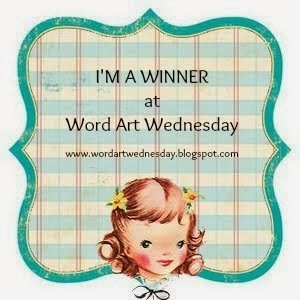 Winners of the Grand Prize and bonus Blog Candy will be announced Tuesday, September 25, 2012. My *****BONUS BLOG CANDY***** is a $15.00 gift card to Repeat Impressions! You must be a follower, and leave a comment on today's blog post to be eligible for this gift card. I will announce a winner on Tuesday, September 25th! Thanks for stopping by! 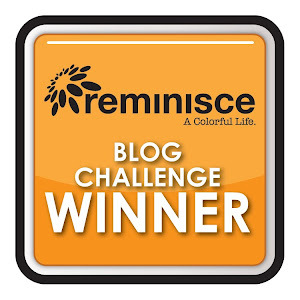 Now, go to Michele Smith's blog! All paper is from a Simple Stories 6 x 6 pack, called Happy Day, which was a gift from a friend! Allen, is my friend Shirley's son, and is a wonderful young man. Hope he enjoys getting this in his mailbox! I'm entering this in the Crafty Friend's Challenges (slipping it in with just a few hours to go), which is a sketch challenge. I'm counting the little crooked dividing line between the dots and the words as my 'string'. Hope it will count at the challenge! Thanks for stopping by, and don't forget to do the Halloween Hop! Welcome to What If Wednesday! 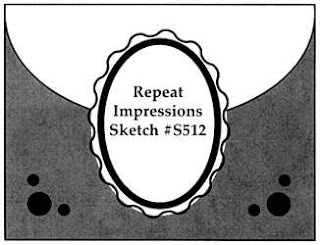 Every other Wednesday, at Repeat Impressions, Wendy gives us a new sketch to design with. We create something, and then challenge all of you to come to the RI blog, The House That Stamps Built, and link up YOUR creation using the sketch. 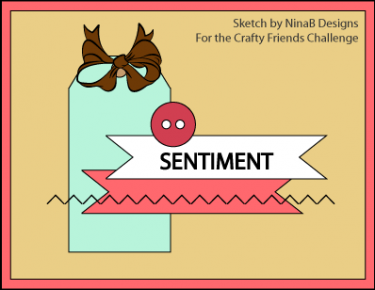 I hope that you will create something special, using Wendy's incredible sketch, and link up to the What-If Challenge at The House That Stamps Built! You don't have to use RI stamps, but you might end up winning some if you play along! My fellow Rockstars have some beautiful creations to share with you today! Be sure to drop back by tomorrow for a wonderful Halloween themed blog hop with Sean and Regina! There will be lots of inspiration, and even some prizes!!! Check the link on my sidebar for more info! Good morning, and Happy Monday. Did my title snagged your curiosity this morning? Well, it's Monday, and you know what that means - it's time for a new Stamp of the Week at Repeat Impressions! Repeat Impressions Queen: 7118W, Sentiment: Please God: 8006W, Bo Bunny Snowfall Collection DP. so I thought this sentiment was so perfect! The step card is a pre-cut, pre-scored card, and can also be purchased at Repeat Impressions. How cool is that? This week, as with each week, you can get the current SOTW for 50% off! Check out the Repeat Impressions blog for all of the details! Now, hurry over and check out what my fellow Rockstars have created with this fun stamp! Thanks so much for stopping by - have a great week! I have a Saturday smile to share with you! I had a few minutes this morning, so I printed out this adorable image from The Digi Garden. This image is in the "Boy" section, and it's called, "A Boy and His Frog". Of course, the frog is Ribbit! The sentiment is an SRM Sticker, and it says "Heartfelt Thanks". Seems we are always in need of a thank you card. My Perfect Layers Tools were used to create beautiful, uniform layers! Hope your weeking is going well. So far, so good, here on the hilltop! Yesterday, I spent most of the day pinching myself. I was lucky enough to have a box that I created, featured on Splitcoast Stampers! You can find the tutorial, and even a video, HERE. I thought I would share the box, as it's a fun way to give a sweet little gift, and display your artwork, as well! This first box features Impression Obsession Stamps: Spa Day G2346, and Witching You B5523. All Coloring is done with Copic Markers, Ribbon is from Hobby Lobby, and the cardstock is from a muse studio. The teensy spiders are from a punch I found in the $1 bin at Michael's - no names on it. This little sweetie is a Little Darlings stamp. She just melts my heart with those big blue eyes! 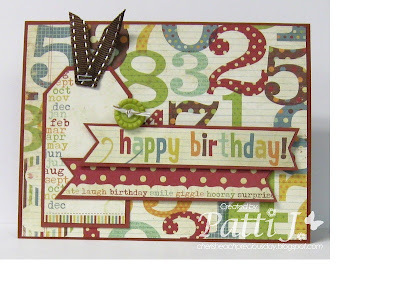 The sentiment stamp is from Stampendous, and the cardstock is Kraft. Button is from my stash, and I used my black Zig Pen for doodling around the edges. All coloring is done with Copic Markers. Last, is the easiest of all! Using some Graphic 45 DP, I simply cut and pasted on the box. Hope you will give it a try! Looking forward to seeing YOUR treat boxes! post your finished project HERE!!! There are lots of fun hops coming up in the next couple of weeks - check out my sidebar for more info! 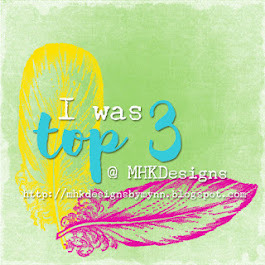 It's time for another Designer's Choice Challenge at Repeat Impressions. Rock Star Joy Hadden challenged us to make a non A2 sized card using a Repeat Impressions image. I decided to make a quick set of fall note cards. These cards are 3 x 3. I stamped the leaves and sentiments with a Kaleidacolor Ink pad. The cardstock is from a muse studio. I had a lot 'on my plate' and needed a very simple and quick project. These will be fun to tuck in with a little gift for my chemo lady. Fall is my favorite season for paper crafting! Love the colors, the slight chill in the air each morning & evening, and the tree colors changing. 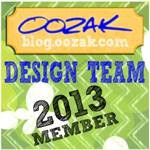 Be sure to check out what my fellow Rock Stars have created for this Designer's Choice Challenge. Can't wait to see what YOU make for this challenge! Grab those scraps, and let's see some non-A2 sized projects! Link them up over at the RI blog, The House That Stamps Built, for a chance to win some RI of your own!!! Have a great day. Here's hoping no black cats cross your path! P.S. If you have time today, check out my project (Flat Backed Treat Box) at Splitcoast Stampers!!! GET READY TO GO ON A "HAUNTED HOP" WITH US! The next blog hop with Sean & Regina is coming up on Friday, September 21! This will be a haunted hop! I'm one of the hostess designers, and I'm busy creating some spooky inspiration for you so you can get moving on your Halloween invites and cards! As always, there will be prizes around every corner! Lots of fun blog candy to fill up your Halloween craft basket! Mark your calendar for the fun! The Haunted Hop will be at 8 a.m. CST on Friday, September 21! I am a member of the DT for The Digi Garden! Check out the sweet images!!! If you like to color or paper piece...OMG! 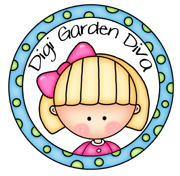 Yep, I am a Digi Garden Diva! Looks just like me, right??? Can't wait to share more of their fun and sweet images...be watching! Head over to The Digi Garden, and join in some challenges - hope to see you there soon! So excited...attending a wedding this evening of one of the sweetest gals evAH! Goodness, time sure flies when one is having fun! I just scrolled down, and realized that this little blog will be FOUR years old in 17 days! Be watching for some blog candy! Must think of something delightfully yummy! A foolish person looks for happiness in the distance; a wise person grows it right under their feet. Welcome to a new 'What If Wednesday' sketch challenge for Repeat Impressions Stamps! We have another great sketch by Wendy to share with you today. Repeat Impressions Stamps (2323W Halloween Cobweb) (2322W Black Cat), Reminisce "You Don't Scare Me" DP, Authentique "Glowing" DP, Fiskar's Deckle Scissors, Zig Pen, CS from stash, Stickles, Bat Dies from Amuse, Spider Punch is Studio G. from Michael's. I had all sorts of ideas about flipping this sketch so that the rounded panel would be 'grass' at the bottom, but 'someone' must have snuck in when I wasn't looking and glued the bats at the bottom of the panel. Hmmm....Funny how a card evolves from a mistake! Let's see what YOU can do with this fun sketch! All of the challenge details can be found at the Repeat Impressions Blog, The House That Stamps Built. You could be a lucky winner! For more inspiration, visit my fellow Rockstars, to see what they've created! 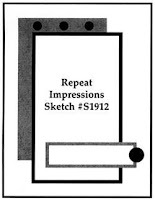 Hopefully, you are all enjoying a Monday of rest :) Well, it's definitely Monday, and that means a new Stamp of the Week at Repeat Impressions! Today's SOTW is "Cute as a Button". I wanted to keep this as simple as possible, so that the stamp would be in the spotlight. If you have any questions, let me know. I've listed the supplies under the photo - feel free to let me know if you need additional info. My fellow Rockstars have some delightful projects to share today, as well! Hop over to see their beautiful creations! Remember, there is still time for joining in challenges at the Repeat Impressions blog, The House That Stamps Built - check out the blog for details! P.S. Thanks so much to those of you who have so graciously sent cards and/or packages to our DD and to our SIL in Afghanistan. If anyone would like to send anything else, the shipping/mailing deadline is October 1st. With good luck, these men and women will be back in the USA by mid December. I have a list of needed items, so feel free to contact me. Thanks again to some very amazing and wonderful ladies out there, for being so thoughtful the past 7 months!